Do you wish you had new kitchen cabinets? Are you worried about the high cost of cabinet replacement? Cabinet Magic offers an affordable way to completely transform the look of your kitchen. How? Through the “magic” of cabinet refacing in Los Alamitos CA. What Is Cabinet Refacing in Los Alamitos CA? 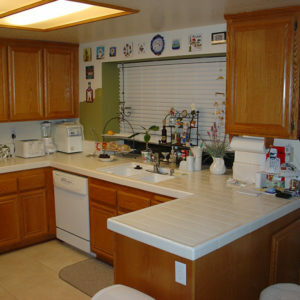 With cabinet refacing in Los Alamitos CA, most of your cabinetry will be left in place and reused. We will only replace the doors and drawer fronts. Adding or replacing crown molding is optional. To complete the look, we’ll cover any exposed cabinet surfaces with a new material matching your new cabinet doors and drawers. Because Cabinet Magic will custom create your new doors and drawer fronts, you will have complete design control. We offer an extensive choice of cabinet styles and colors. When cabinet refacing in Los Alamitos CA is paired with new features like soft close hinges, lazy susans, and pull-out racks for deep cabinets, the result is cabinetry that looks and functions like new. Are you ready to make the kitchen of your dreams a reality with cabinet refacing in Los Alamitos CA? Cabinet Magic is here to help. We are confident we will meet and exceed your expectations with superior craftsmanship and service. Take the first step towards your new cabinets today by calling 800-828-4380 and requesting a free in home estimate.